From its agricultural heritage and initial modest farming operation, Ak-Chin learned to become uniquely adaptable to changing climates and conditions. This resilience laid the groundwork for a 21st century business philosophy and entrepreneurial spirit that capitalizes on changing markets and commerce opportunities that will encourage economic diversification and self-sufficiency. To date, Ak-Chin has created partnerships with Caesars Entertainment, Troon Golf, and UltraStar Cinemas to build an impressive array of entertainment venues, which include Harrah’s Ak-Chin Casino Resort, Ak-Chin Southern Dunes Golf Club and UltraStar Multi-tainment Center at Ak-Chin Circle. 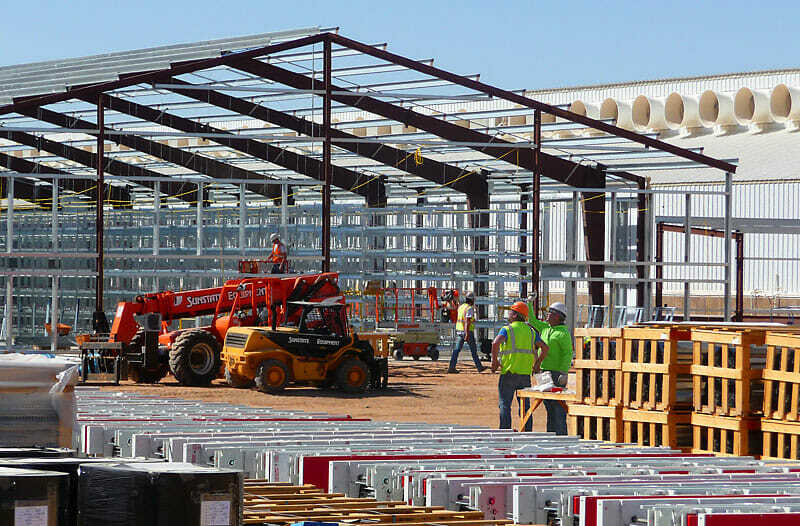 On the industrial side, Ak-Chin has created favorable lease arrangements for a number of large and small businesses including Hickman’s Family Farms, M&S Equipment, Rockstar Arizona, Advanced Performance Motorcycle Repair and Liquidate AZ. In addition, Ak-Chin bought and improved the former Phoenix Regional Airport, a general aviation airport now renamed Ak-Chin Regional Airport and bought a controlling interest in Quail Run Building Materials. While some tribes say to add 20% more development time to projects for conversations, Ak-Chin has always been a Tribe that Means Business. It was the first Arizona tribe to settle their water rights and the first to apply and be approved under the HEARTH Act so they could have control over their leases without BIA involvement. Moreover, while some tribes may have allotted land owned by individual tribal members who might need to get 150-450 people to sign off on lease terms, Ak-Chin’s property is wholly owned and controlled by the Tribe. Ak-Chin’s ability to speed to projects is not just hyperbole. Potential tenants only have to look at the 36-acre Hickman’s Family Farms, a Santa Cruz Commerce Center tenant since 2003. The initial four poultry houses and administration building were in design and review for just 120 days and took 10 months to complete construction. Since that time, Hickman’s has been able to expand their Ak-Chin facility two times nearly doubling its production. Uncertain about dispute resolution on the Reservation? To add peace of mind to the development process, Ak-Chin can also offer a Limited Waiver of Sovereign Immunity. What do our enterprise partners say? Never in our twenty years have we worked with a group so determined for excellence … I am honored to be a part of Ak-Chin’s history and to work with a team of such high character and dedication to growth. Caesars Entertainment is proud of our 20-year relationship with the Ak-Chin Indian Community. As the only tribal gaming enterprise in Arizona with an international management partner, we value and commend the Community’s continued commitment to bringing quality entertainment to the Valley. With a shared heritage in farming, Ak-Chin and Hickman’s have cultivated a strong partnership. In an environment committed to product excellence, long-term environmental sustainability, and high standards for food safety, our business has been able to grow and expand. The Ak-Chin Indian Community has been a tremendous partner for Troon Golf. Their support in making substantial investments in Ak-Chin Southern Dunes Golf Club has created a wonderful asset of immense value not only to the Ak-Chin community but for the golf community as a whole. Their vision of elevating the facility to national prominence demonstrates the strong commitment they have for the project.